As a Mother myself, I get asked a lot about how to care for your child’s teeth. This is a very good question, particularly as nearly half of all Australian’s aged 5-10 year’s old already have tooth decay. 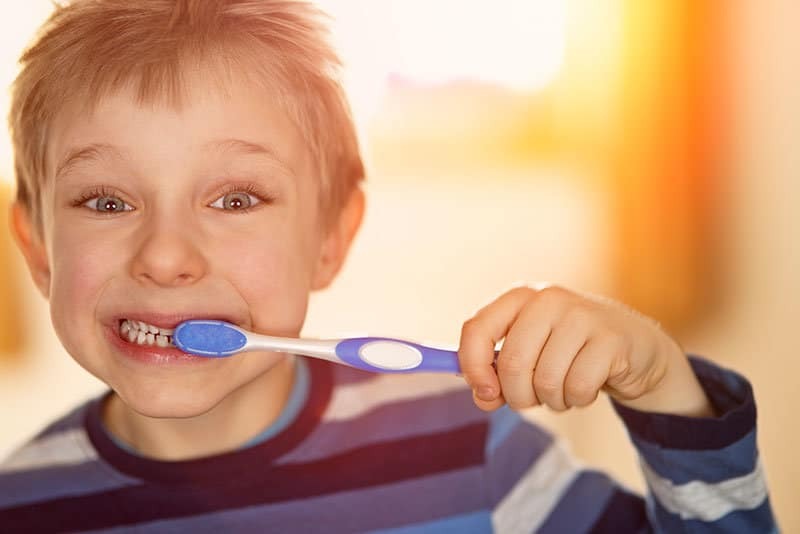 It is so important to reduce this number, in fact, evidence suggests that if dental disease can be avoided in childhood, then that individual will have a reduced risk of developing dental decay later in life. A lot of people think of baby teeth as a ‘practice set of teeth’ I don’t agree with this thinking at all! Our children don’t just need their baby teeth for chewing, they need them for other critical functions such as speech development. Baby teeth are also there to guide the adult teeth into position. If they’ve been removed, then the child is more likely to have issues with crowding in their adult teeth. So, when parents ask me how they can best care for their children’s teeth, I advised them that prevention is better than cure, and this starts with their diet. Sugary beverages are a huge contributor to this increase in tooth decay. In fact, 7 out of 10 Australian children exceed the World Health Organisation recommend daily sugar intake. Sugar should be limited to less than 12 teaspoons a day. A lot of parents don’t even realise how much sugar is in the foods their children are consuming. A standard glass of orange juice for example, contains 6 and a half teaspoons! That’s more than half their daily limit, all in just one glass of juice! The second major contributor to increased decay rates, is poor oral hygiene. Children don’t have the manual dexterity to brush thoroughly by themselves until they’re around 8 years old. We need to be helping them brush twice a day until they’re competent enough to do it un aided. As soon as teeth emerge intro the mouth, they need to be brushed. I know this is sometimes easier said than done. Independent Toddlers can be quite difficult, and often protest, wanting to do it all themselves! My advice would be, let them do it themselves, but always make sure to get in there and finish the job for them! Kids aged under 6 can use a special children’s tooth paste. Once they’re over 6 years old, they can use a regular adult toothpaste, but no more than a pea size amount. Children should be encouraged to spit excess tooth paste out after brushing. Finally, your children should be acquainted with their dentist by their first Birthday. By taking your child this early, you are helping them to become comfortable with the dentist, and installing good health habits from a young age. Their first visit should be fun! Your child will enjoy having a ride in the chair, counting their teeth, and might even get a little gift for being so good! The friendly Staff at Dental Care on Pulteney are always happy to answer any questions you may have about your children’s teeth.